Hey there! 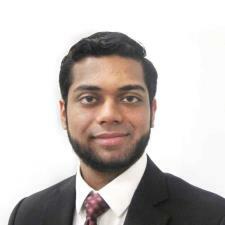 My name is Momin and I am a tutor for lots of different subjects, with a great emphasis on math and science. I succeeded throughout all of high school and my undergraduate career while tutoring part-time. I was accepted to multiple medical schools and I am still deciding which one to attend this fall (2019)! I have tutored effectively for over 7 years and I am excited to be able to tutor more on a full-time schedule since I graduated a semester early. I want to help as many students as possible now that I have more time than usual! In terms of my credentials, I got a perfect score on the Math section of the SAT twice when I took the tests 5 years ago, and I skipped a year of math through self-study when I was 14 years old. I moved on to get only 4's and 5's on all 12 AP examinations that I took, earning a 5 on the AP Calculus BC and on the AP Biology exams (which I emphasize because I mainly teach math and science course material). I scored a 95th percentile score on the MCAT in 2017 and obtained the average score for Harvard Medical School students in the year that I took the exam. I can definitely guarantee that my students are in good hands, and I am always here to encourage and motivate the people around me! Kindness is key.